How would you like to work for one of Bristol's well-respected financial planning businesses where you'll get the chance to work with a great bunch of totally client-centric people who all work as a collaborative team to provide their clients with an overall fantastic experience; they're looking for someone with similar values who'd like to join them as a Financial Planning Administrator. You’ll work in an environment that embodies a real culture of team work and client service, a place where you’re encouraged to ‘shine’; where new ideas are welcomed, where you’ll be actively supported to swim, not sink. Their modern offices are smart and spacious, overlooking the water, in central Bristol, and can easily be reached by public transport, car, and park and ride. Close by is Cabot Circus with its’ array of shops and restaurants. Within this financial planning administrator role, you’ll be given a great opportunity to make a real impact and help promote the excellent service offered by the company and as a member of a smaller support team you’ll get the chance to get involved in quite a few areas of the business such as new business administration, client servicing, providing support to the Paraplanners & Financial Planners. A minimum of Grade C GCSE or equivalent (Maths and English Language). If this interests you and you’d like to find out more, please apply now or call Jess Wood on 0117 962 5005; we can then discuss this is more detail and ascertain if you’d like to be presented for the opportunity. 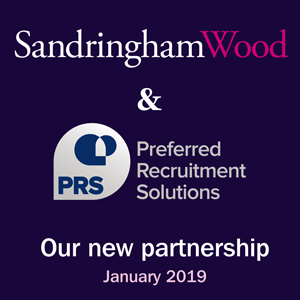 I highly recommend Jess and the team at Sandringham Wood as unlike many others in the recruitment sector they consistently deliver on their promises and proved invaluable to me personally and professionally.